What’s your most wanted certification? Is it PRINCE2, CCNA or maybe an MCSD? Treat yourself to them now or choose from 100s of other courses and you’ll get 25% off the RRP. Book now for 2013 or early 2014, and you’ll be even better prepared for the challenges of the New Year. 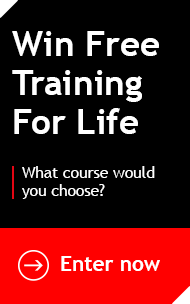 Here’s what you need to do to get your discounted training: click on the image below or give us a call at 080 80 800 888 and our colleagues will guide you through the process. Act fast, get the certification you need at the price you want. The offer ends tomorrow (12 December 2013) at 5.00pm. Don’t miss out!